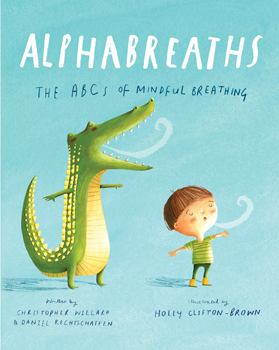 In Alphabreaths, children learn both their ABCs and the basics of mindfulness through playful exercises and vivid illustrations they'll want to come back to again and again. Each letter of the alphabet teaches a simple mindfulness or compassion-based practice. Kids will spread their arms like beautiful butterfly wings, imagine blowing out candles on a birthday cake, and be as still and silent as a ninja. With breaths like Heart Breath and Wish Breath, they will remember to fill their heart with gratitude and send good wishes to others. Alphabreaths offers a meaningful introduction to mindfulness for children, all while keeping them delighted with imaginative inspiration and hours of fun.